New research suggests there has been a shift toward acceptance of evolution among undergraduates who are members of the Church of Jesus Christ of Latter-day Saints. The study, published in PLOS One, also provides some clues about effective strategies to increase the acceptance of evolution among religious people. “As deeply religious individuals (and members of the Church of Jesus Christ of Latter-day Saints) as well as dedicated scientists, we have all been through our own process of reconciling our beliefs with science,” said Jamie Jensen, an associate professor of biology at Brigham Young University and corresponding author of the study. 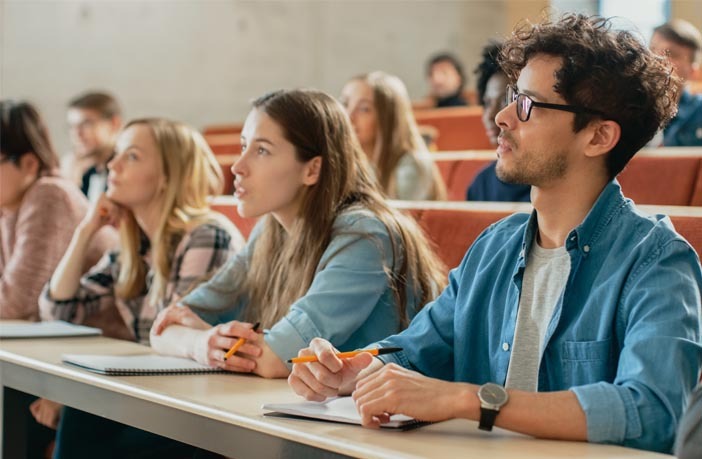 In their longitudinal study, the researchers collected data from students who were enrolled in an introductory biology course at Brigham Young University. (The course is for non-biology majors.) The researchers compared students from 1986–1996 to students from 2014–2016. The students completed a 500-word personal essay outlining their view of evolution, along with surveys about evolution and other scientific issues. The researchers observed a positive shift in attitudes toward evolution over the past two decades. Students in the 2014-2016 cohort, for example, were more likely to acknowledge the reliability of the fossil record and accept of the age of the earth. These students were also less concerned that evolution conflicted with their religion. “Readers should understand first, that we are seeing a sizable shift toward acceptance among our student body, and second, that there are some major factors that appear to predict these changes: high school coverage of evolution, a decrease in negative messaging, and the teaching of evolution in a faith-compatible environment,” Jensen told PsyPost. Previous research has found that people who know more about evolutionary theory are more likely to accept it. The new study also found that Brigham Young University biology courses were linked to increases in the acceptance of evolution. In the first cohort, acceptance jumped from 12.7% at the start of the course to 38.3% after the course. In the second cohort, from 39.4% to 75.4%. Jensen and her colleagues used what they described as a “Reconciliation Model” when teaching evolution. They emphasized that evolution was not a belief system and therefore not in conflict with religion, among other things. “We hope that this both encourages the scientific community and the public that it is possible to increase acceptance of this foundational theory, but also that this article offers a potential template for the scientific community to approach the teaching of evolution to religious audiences in a more reconciliatory fashion,” Jensen said. “This particular article shows a case study run on a very specific subset of the religious population (members of the Church of Jesus Christ of Latter-day Saints). We have yet to learn how this might translate to other religious groups and/or ethnic groups and whether these changes are sustainable,” Jensen said. “Although we have faced skepticism from both sides in our research efforts (both religious and scientific extremists), as any good research should elicit, we hope that this study is a source of encouragement,” Jensen added. The study, “A longitudinal study of attitudes toward evolution among undergraduates who are members of the Church of Jesus Christ of Latter-day Saints“, was authored by William S. Bradshaw, Andrea J. Phillips, Seth M. Bybee, Richard A. Gill, Steven L. Peck, and Jamie L. Jensen.